Save on disposal costs and get the job done faster with A. Scarano! Count on the disposal experts at A. Scarano to be a key partner in completing your junk removal, spring cleaning or cleanout project. Our affordable roll-off containers are ideal for residential or commercial junk removal projects. Why hire a junk removal company when you can save with A. Scarano! 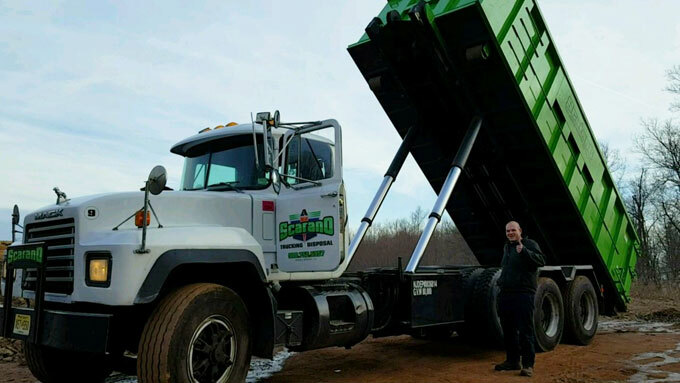 We provide dumpster rental service in Edison, NJ and surrounding areas, including Plainfield, Warren, Basking Ridge and more. Our late-model equipment and speedy service ensures your junk removal project isn’t slowed by lack of disposal options. We’ll be there when you need us! Why rent a dumpster over hiring a junk removal company? Sure, junk removal service is convenient, but there’s a price to pay (literally) for this convenience. One of its biggest downfalls is the total cost of hiring a junk removal company versus renting a dumpster. It’s not uncommon to pay double the cost for disposal when hiring a company to haul it away versus renting a dumpster and doing it yourself. This is especially true for bigger cleanups – e.g., 10, 20, 30+ cubic yards of waste, junk or debris. 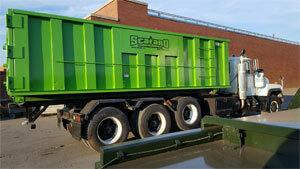 At A. Scarano, we are a responsive and reputable source of bulk waste disposal options. Our roll-off dumpster rental service offers the convenience of allowing you to complete the cleanup at your own pace. We offer flexible rental periods, so you can take 1 day or 30 days to complete the job. We strive for complete customer satisfaction and will do what it takes to earn your business. It’s a major reason we’re still going strong since our company’s founding in 1953! We are a proud, third-generation business committed to excellence. Learn more about A. Scarano, Inc. The range of available container sizes at A. Scarano includes 10, 15, 20 and 30 yard dumpsters. 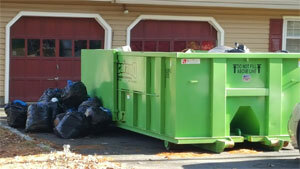 We are able to accommodate residential and commercial size junk removal projects. Our 10 yard box works great for garage cleanouts, spring cleaning, basement cleanouts, attic junk removal, and other projects of this size. With our large-capacity 30 yard container, you can finish even the biggest junk removal projects without the need for multiple dumpsters or expensive junk removal services. We have a dumpster that will work great for your project. Find the right dumpster size for your project. Save 10% with our “Short Rental” special! 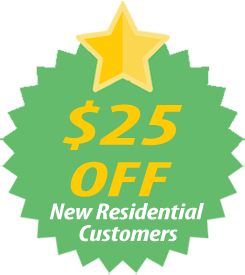 For quick cleanups where you only need a dumpster for two days or less, consider taking advantage of our Short Rental special. This allows you to save 10% on the base rate of the dumpster. You get the dumpster for up to two days. It’s a fast, affordable and efficient way to get rid of clutter in your home or business. See our Dumpster Rental page for more details. Thanks for your interest in our services at A. Scarano! We look forward to being a part of your next cleanup or project. Give us a call at the number below to get started with a free dumpster quote.